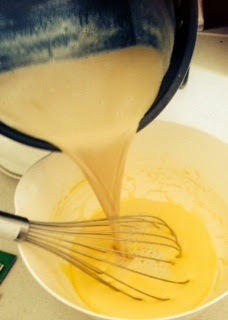 Whisk the egg yolks and half the zucherro (sugar) together until pale. Place the milk, espresso and rest of the sugar in a saucepan and bring to the boil. Pour over egg mixture and whisk to combine. Pour back into the saucepan and cook over low heat, stir constantly until the mixture starts to thicken - do not allow the custard to boil! Strain the custard into a bowl and allow to cool. Stir in the liqueur/Tia Maria. Pour into a plastic freezer box, cover and freeze. 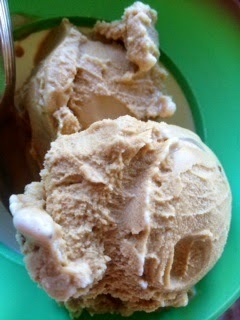 Stir every 30 mins to break up the ice crystals and create a smoother gelato.